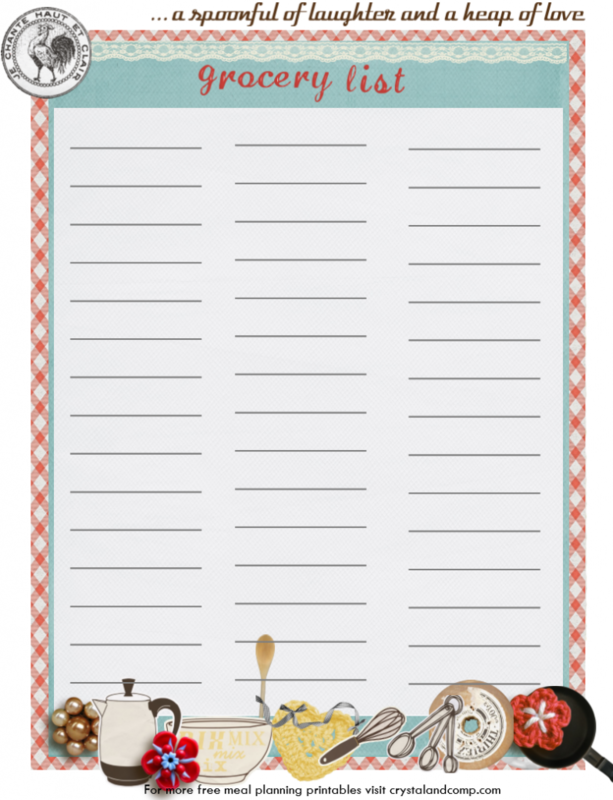 If you love the free printable meal planner I shared last week, you will love this grocery list printable! Each printable has a vintage kitchen feel to them. I hope this will inspire you to meal plan for your family. Life is busy and one of the key things I see people forgetting at the grocery store over and over again is a grocery list. Shopping without a list that is not built around your meal plan for the week results in forgetting ingredients that are needed for making dinner and over buying ingredients that are needed. Both scenarios end up with you overspending. For this grocery list printable I left all of the lines blank and did not identify any categories. You can create your categories however you like. Some people like to shop my aisle, group by meal, and group by category. I have left all of the control up to you. The most important factor is getting to the store with a grocery list! You can print it out here or by clicking on the image. When creating my grocery list I work right off of my meal plan for the week, shop my pantry,fridge and freezer first and then add breakfast, lunch and snack items on. Thank You! for your Grocery List Printable, we don’t have any kids, but we are always busy, A meal plan will help! Yay! I am so glad you like it and can use it! I love this printable, so pretty. Thanks for linking up at Tell Me About It Tuesday. We hope you hop over and share with us again next week. Thank you so much. I am glad it is something you can use!